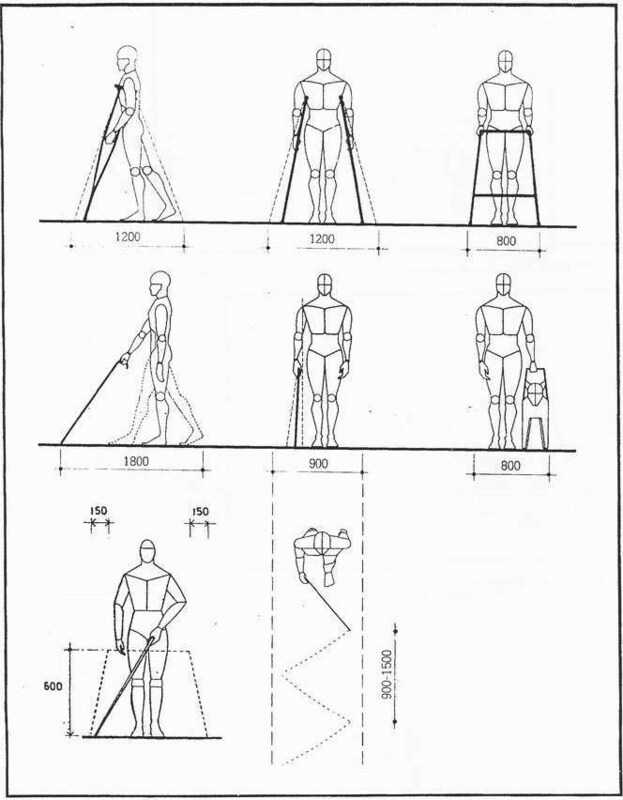 Adequate space should be allocated for persons using mobility devices, e.g. wheelchairs, crutches and walkers, as well as those walking with the assistance of other persons. 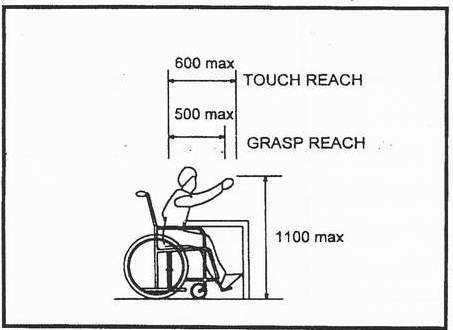 The range of reach (toward and side; with or without obstruction) of a person in a wheelchair should be taken into consideration. 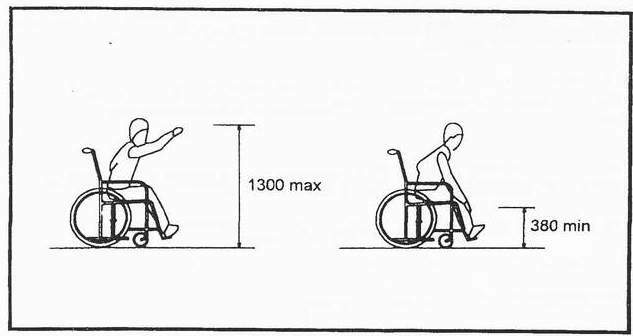 Attention should be given to dimensions of wheelchairs used locally. Figure 1.1a : Space allowance. Figure 1.1b : Space allowance. 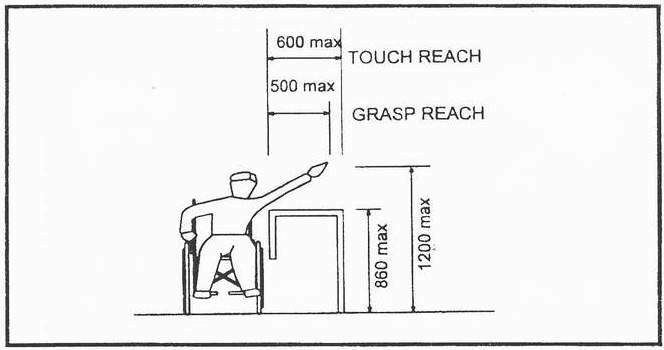 Figure 1.1c : Foward reach without obstruction. 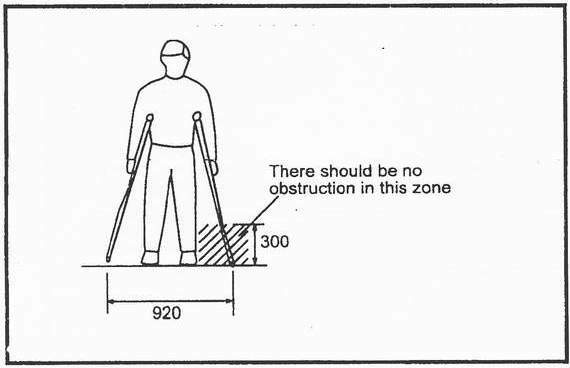 Figure 1.1d : Forward reach over obstruction. 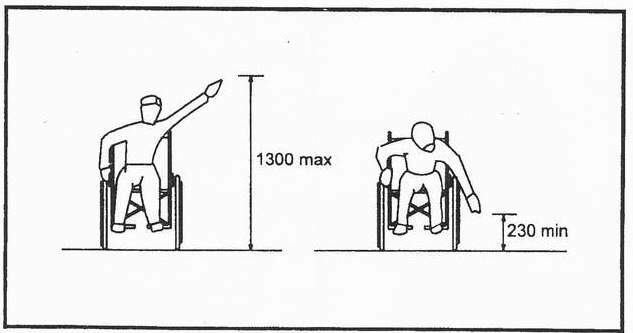 Figure 1.1e : Side reach without obstruction. 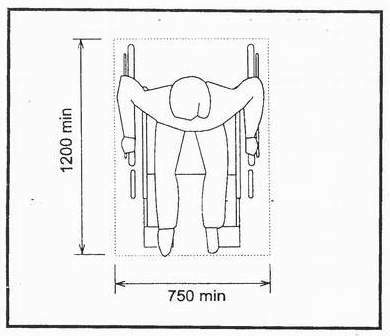 Figure 1.1f : Side reach over obstruction. Figure 1.1g : Space Allowance. 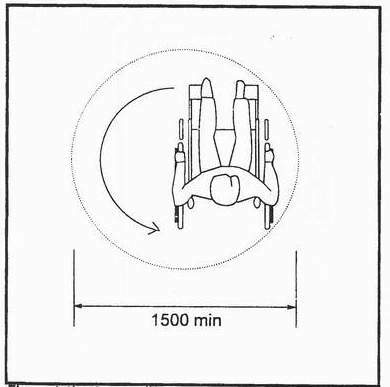 Figure 1.1h : Space Allowance.